Glenn, Richard and Bradley, you wuz robbed. Roma remains the front-runner for Best Picture…but it’s hardly a done deal. It feels like an eternity ago that I was predicting the likes of Beautiful Boy, The Front Runner and Peterloo for Oscar nominations. Now, here we are, with that trio long out of the picture and Roma riding high as Black Panther and Green Book lurk around the corner, hoping to score the big upset for the top prize. There is no shortage of uncertainty lingering over this year’s races. While a handful of contenders, including Alfonso Cuaron in Best Director and “Shallow” in Best Original Song (perhaps the lone prize A Star Is Born goes home with), seem like the surest of bets, there are far more toss-ups at hand than runaway victories. Even Mahershala Ali and Rami Malek, who have all but steamrolled the major precursors of late, shouldn’t feel entirely secure. Films like Black Panther, BlackKklansman and The Favourite, all entering the big night with a plethora of nominations, could find themselves basking in Oscar glory or shut out altogether. Should The Favourite fall short in all 10 of its bids (which I am predicting to be the case), it will join the unfortunate likes of American Hustle, Gangs of New York and True Grit, all of which conked out 0-for-10 at their respective ceremonies. As for the technical categories, they could go in so many different directions, with plausible cases to even be made for First Man and Mary Poppins Returns, both of which spent much of the awards season stumbling. If there’s a five-way jump ball at this year’s SAG Awards (on the film side, at least), it’s for the top prize. That A Star Is Born, the most plausible Best Picture Oscar winner of the bunch, is probably trailing in fifth, is a testament to the baffling uncertainty of Best Ensemble. The celebrated turns from Bradley Cooper, Lady Gaga and Sam Elliott aside, A Star Is Born is rarely cited as sporting one of the finest acting troupes of 2018. It cannot, however, be counted out. If enough voters approach this category as a referendum on the year’s best film, as opposed to the most robust ensemble showcase, it could come out on top. A tad less likely to triumph in Best Picture but flaunting more voluminous casts are BlacKkKlansman and Black Panther, each a plenty plausible champion. If there’s a dark horse here, it’s probably Golden Globe winner Bohemian Rhapsody - sure, it’s more or less a vehicle for Rami Malek exclusively (hence, the raising of countless eyebrows upon the announcement of its nomination here) but the adoration for this picture in certain circles cannot be ignored. Alas, perplexing it may sound, I suspect it’s the one non-Oscar nominee, Crazy Rich Asians, for the win - the splashiest, most gargantuan of companies, gracing a picture that was among the year’s most commercially successful hits. Mortensen and the fabulous Washington will be sitting this one out on the sidelines. Bale, with the Golden Globe victory and not one but two Critics’ Choice wins, would appear to be in the best shape he’s been in all awards season. Color me skeptical, however, that there’s really that much appetite in the industry to position Bale for a second Oscar - and for a film so few are passionate about. The lack of Vice in Best Ensemble - which seemed a given, considering its starry cast - leaves me all the more skeptical that Bale prevails here. Cooper, I suspect, is better-positioned here. His film has the Ensemble nod and unlike other precursors this season, there is no potential for vote-splitting between his bids for directing and acting. This could be where Cooper at last takes off but my sense is, even with the film’s controversies, it’ll be Malek. Not only did his film land the most jaw-dropping of honors in Ensemble, Malek, Mr. Robot himself, is very likely to fare well among the guild’s television actors. Bale, Cooper and Malek are all plausible winners but it’s tough for me to fathom Malek losing with Bohemian Rhapsody evidently worshiped by voters here. McCarthy, who has gone tragically underappreciated this awards season (in terms of wins, at least), and Blunt haven’t a prayer. Colman has no shortage of adoring fans but, like Bale, is not helped by her picture’s absence for the top prize - she’ll find herself in better shape come BAFTA night. Gaga’s film did make the Ensemble cut and the actress/songstress did manage that surprise Critics’ Choice tie with Close (and gave a memorable speech to boot). Alas, from my vantage point, Gaga’s run for the Oscar all but ended at the Golden Globes. She should have been a shoo-in with the Hollywood Foreign Press Association, a body that once awarded Best Actress honors to Madonna (for Evita) over Frances McDormand (for Fargo). That she fell short is not necessarily a testament to her weakness in Best Actress but rather the strength of Close, both in performance and overdue narrative. SAG was always going to be Close’s best bet for a precursor, even had she lost at the Globes and Critics’ Choice, so her surprisingly triumphing at those two events makes her all the more a sure bet among guild members. I hesitate to call her a shoo-in but if there is one among these five categories, Close comes closest. Chalamet and Driver are out, as is probably the fabulous Grant, who’ll have a better shot at BAFTA later on. Golden Globe winner Ali is the front-runner, no doubt, helped all the more by his acclaimed turn on HBO’s presently airing True Detective. He is not, however, a favorite on the level of Close. Green Book missed in Best Ensemble, which, while not a monumental surprise, is perhaps indicative of less support among SAG members than voters within the HFPA (which awarded the film not only Best Picture and Best Supporting Actor but Best Screenplay to boot) and PGA (which too awarded Green Book its top honor). There’s also the Sam Elliott factor. 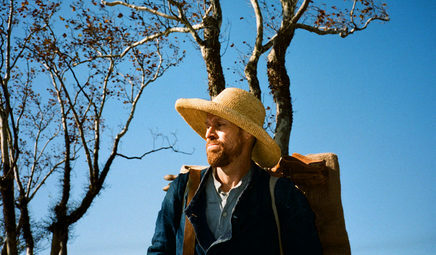 Elliott has been less a presence this awards season than initially projected, missing at both the Globes and BAFTA. He is, however, a veteran actor of the big and small screens who has worked with just about everyone in the industry. I remain skeptical he’ll pull a SAG win off but it’s well within the realm of possibility, especially if voters wish to throw A Star Is Born a consolation bone somewhere. Here’s the most uncertain of the non-Ensemble prizes. Sans Robbie, whose picture just never much took off this awards season, I believe a legitimate case could be made for any of these contenders, all helped by the flabbergasting snub of Golden Globe/Critics’ Choice winner Regina King. If Weisz can pull this off, she’ll find herself well-positioned to face King on Oscar night - she’s likely to take BAFTA and the one-two punch of this and that could be the formula necessary to overcome the Beale Street front-runner. Where Weisz is favored at BAFTA, however, I suspect her The Favourite co-star Stone may have an edge among SAG members. And then there’s Blunt, who hasn’t a prayer in Best Actress, so if voters wish to award her somewhere, this is the place to do it. But ultimately, despite the lack of Vice in Best Ensemble, my hunch is Adams pulls this one off, which is fabulous news for King, as an Adams victory here and Weisz win at BAFTA would result in no clear alternative to King on Oscar night. The overdue narrative for Adams hasn’t been nearly as prevalent as Close’s this season but might just be compelling enough to get her across the finish line in a King-free affair. Congratulations to this year’s Oscar nominees! 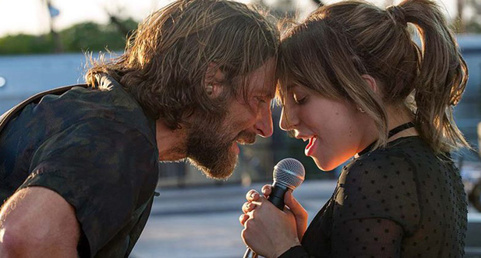 Bradley Cooper’s A Star Is Born may be favored for one lone Oscar on the big night (Best Original Song) but on nominations morning, I suspect it leads - with 11. Here we go - FINAL Oscar nomination predictions! Since my last thoughts in December, a ton has gone down in the awards season - Golden Globes were handed out, as were BAFTA and key guild nominations. Next week, the Academy of Motion Picture Arts and Sciences will offer its two cents on the finest of 2018 cinema and, not long after that, BAFTA and the guilds will announce their winners. As a reminder, this year's Oscar ceremony falls on February 24. So, with that said, here is my final hunch. In parentheses you will see how many slots a contender has moved up or down since my December rankings. In some cases, I have eliminated a film or performer entirely. Enjoy and, as always, feel free to comment with your own thoughts as well.